Please do not steal or use my photos of my children without permission. All photos on Simply Durant belong to Simply Durant. Baseball is in full swing these days. 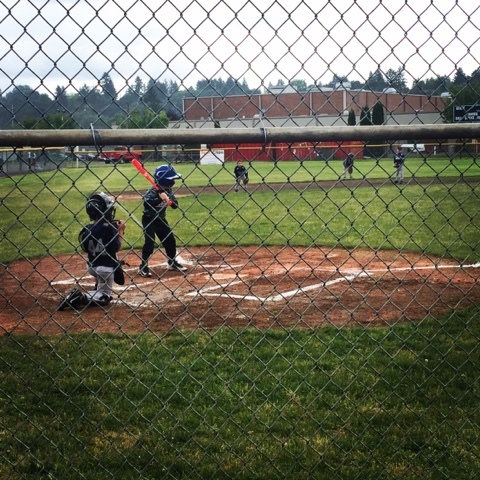 I love being a baseball mom! When I was younger, I used to spend my weekends February through October at the ballpark playing on my competitive fastpitch team. It was a blast and I love watching my oldest learning to play the game. He missed the first two weeks of the season due to getting his tonsils removed. He was bummed at first but now is loving being back with his teammates. He is making a lot of new friends. He plays for the Cool Cats and is number 44 this season. 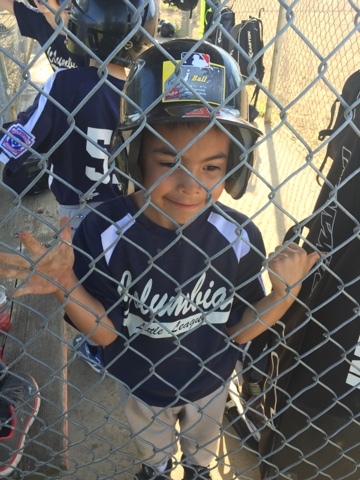 He has yet to play one specific position but enjoys playing third base, catcher, and left field. Amari is pretty fast (when he is not being lazy) and is mostly in the outfield. Three Saturday's ago he ended up getting the game ball. 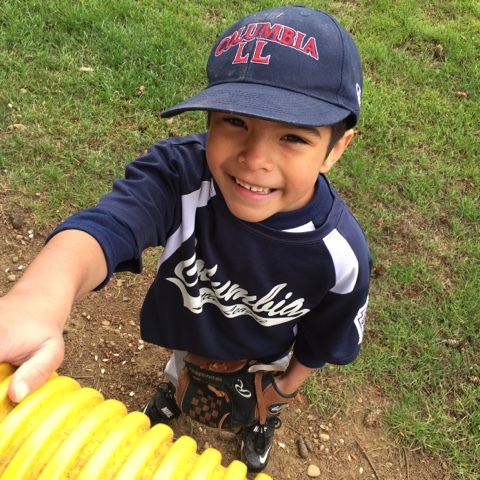 He went 2-3 at bat, scored twice, and had a great play at 3rd base. He was focused the entire game even though it was raining out. He also was excited that his Auntie was there cheering him on. 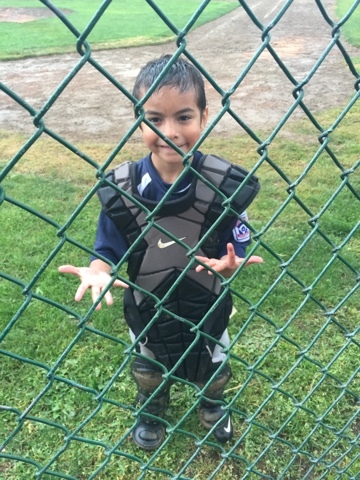 There are three more weeks left in the season and I am pretty sure my little baseball player is going to love the rest of the season with his teammates. 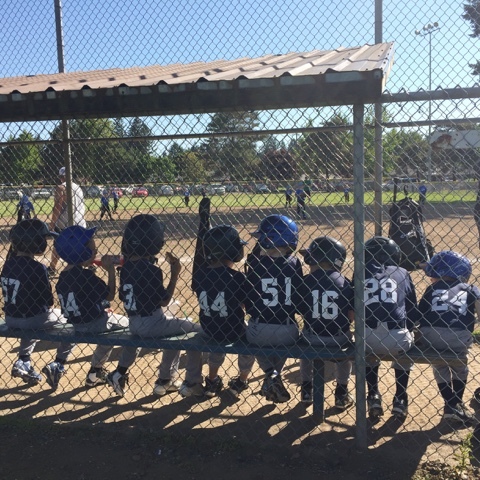 So many great memories are made both on the field and in the dugout. And I am pretty sure he will dig his first trophy too.